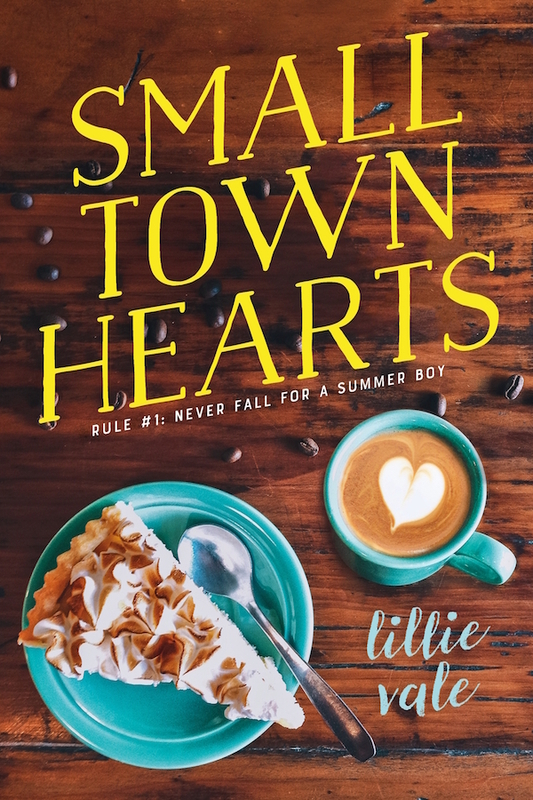 I am so excited that Small Town Hearts is out in the world today and even more excited to be celebrating its release with a guest post by debut author Lillie Vale! Hi! I’m Lillie Vale, the author of upper YA contemporary Small Town Hearts. It’s a messy BFF breakup + found family novel taking place in the summer after high school, the last summer 19yo bi baking barista Babe thinks she’ll have before her friends Penny and Chad start college in the fall. She has a somewhat co-dependent relationship with the people she loves, and change has never been a good thing, in her experience, so she’s trying to hold on tight during a time when she has to learn how to let go. Matters are further complicated when her ex-girlfriend Elodie returns to their sleepy Maine village of Oar’s Rest at the same time as a mysterious summer boy shows up to rent Babe’s mom’s cottage on the beach. Jordan asked me what the coffee orders of the characters in Small Town Hearts would be, something I found utterly fascinating to analyze a little deeper. I definitely think your coffee order reveals a lot about you, and why shouldn’t it? Coffee has a lot of personality, after all, whether it’s dark or medium roast, milky/creamy or black, low-key or full-bodied, chocolatey or nutty, and so many more! And Oar’s Rest favorite coffee shop, the Busy Bean, can definitely oblige both the simplest and the most complicated of orders! Babe Vogel, barista at the Busy Bean, has sampled everything on the menu, but usually goes for an americano or plain ol’ sugar & cream in her coffee. Levi Keller, our summer boy, is all about black coffee. Elodie Hawkins, Babe’s ex-gf, loves a sweeter cup of joe. Right now she’s trying to cut back on sugar, but she’s all about that caramel frappuccino life. Personality: impulsive, extroverted, creative, poised, stressed, sometimes asks herself wwSvdWD (what would Serena van der Woodsen do)? Penny Wang, Babe’s best friend(?) can never get enough iced coffee. Thanks for having me, Giselle! Sounds like a great intro to summer read! Coffee wise…I’m the “no go” coffee drinker, as in I don’t actually like the stuff. I know, I know…what can I say? I’m unique. 😉 Thanks for sharing! I don’t like coffee either! I’m a huge tea drinker, though. Good luck! Im excited about reading this one too! After reading this book, I can totally imagine the characters placing these coffee orders. That’s so good! I’m excited to read this one and imagine it myself!